Each year we film hundreds of people who face health challenges. 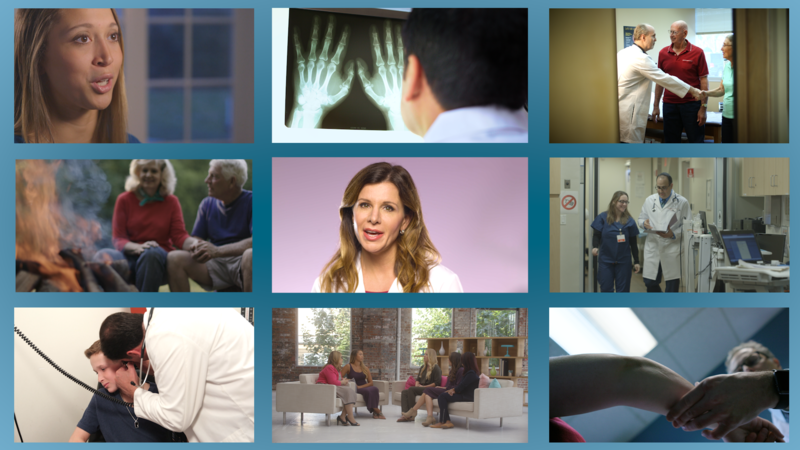 Our video trailer for 2016 (below) features some of those people filmed in our work throughout the nation—patients, physicians, and caregivers who shared their stories for the benefit of educating and inspiring others. It’s a reminder that there is a story behind every patient. And it reminds us that millions of viewers in various media rely on us to tell accurate, emotionally engaging stories and tell them far more powerfully than what words and pictures alone can deliver. Hope you enjoy it, as well as health and happiness in 2017.